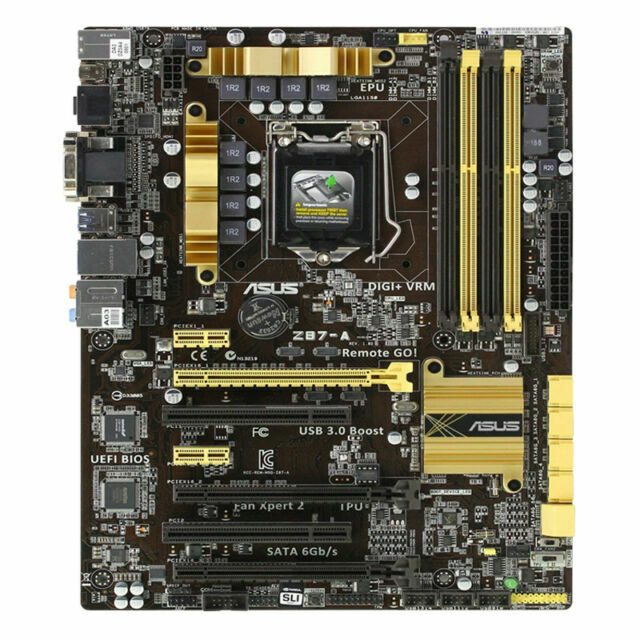 The Dual Intelligent Processors from ASUS pioneered the use of two onboard chips - EPU (Energy Processing Unit) and TPU (TurboV Processing Unit). The Dual Intelligent Processors 2 with DIGI+ VRM provides precise Vcore PWM, integrated graphics voltages and frequency module adjustments with minimal power loss through BIOS tuning and an exclusive user interface to increase the board's overclocking range while performance reaches its full potential. ASUS DIGI+ VRM digital power design empowers users with superior flexibility and perfect precision to ensure optimized performance, extreme system stability and greater power efficiency.VRM, or voltage regulator modules, is considered among the most essential motherboard design components. They supply the voltage demanded by the CPU, and a good VRM must intelligently detect actual CPU power draw to provide precise power accordingly. Great Motherboard for 4gen Intel CPU's! Has just bout everything ya need including m2 which was nice and also USB 3.1 Gen1 port so that's a perk! Motherboard was packed very secure and package was shipped very fast. The board seems to work or rather has worked but I'm trying to figure out why it doesnt finish post and boot consistently. Windows shows only 25 of my 32gig of ram, hence I believe it's a bad stick. I am pleased with the purchase. Overall I found this board to be a thrill to work with. It's compact and simple design allows for experienced and beginner users to easily navigate and utilize as many functions offered as they so choose. My one issue with this motherboard is the BIOS. After working with many boards, I found this BIOS to be the most finicky and sensitive. Finally I got what I needed.